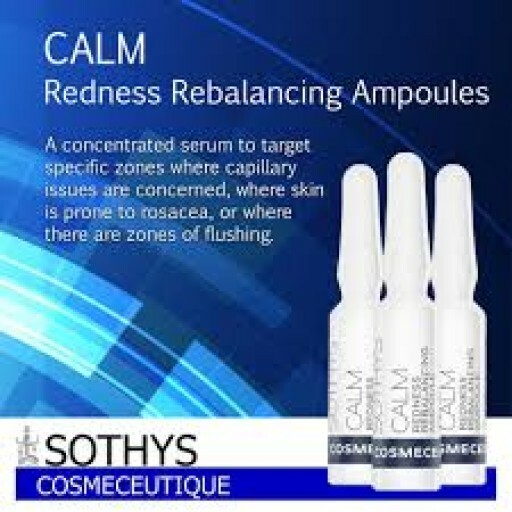 Sothys Cosmeceutique CALM Redness Rebalancing Ampoules are a cosmetic treatment with a targeted action to gradually soothes the redness and heat sensation caused by a dermo-aesthetic procedure. Designed for a reduction in redness post-surgery, these ampoules help maintain the skin microbiome, essential for skin balance. 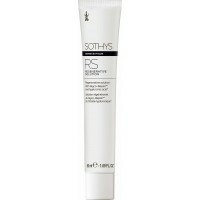 Reduces redness and restores the skin’s balance. The skin is gradually soothed. Aqua (Water), Butylene glycol, Panthenol, Propylene glycol, Hexylen2. glycol, Capryloyl glycine, Sodium dehydroacetate, Sodium hyaluronate, Sodium dextran sulfate, Saccharomyces cerevisiae extract, Peumus boldus leaf extract, Pentylene glycol, Tetrasodium EDTA, Citric acid, Xanthan gum, Xylitylglucoside, Sodium citrate, Phragmites communis extract, Poria extract, Phenoxyethanol, Sodium benzoate, Ethylhexylglycerin. 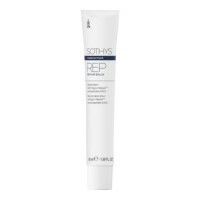 Morning and evening, apply to the parts of the face and body that present redness. Follow with the suitable cream.